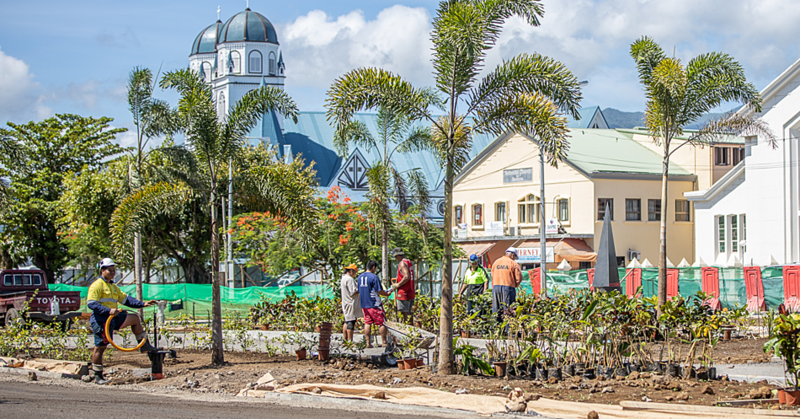 The role of mothers and their contributions to Samoa took centre stage throughout the country on Sunday when Samoans paused to acknowledge mothers. From Apia to Aleipata, Salelologa to Falealupo as well as Manono and Apolima, mothers were showered with love, gifts and affection during their special day this year. Despite the rough weather leading up to Mother’s Day, the dry spell on Sunday allowed for a glorious day of celebration for mothers and their families. The order of the day was pretty similar across the nation. First up were the church services where families worshipped together and heard from their pastors about what the Bible says about motherhood. During many of the services, mothers were given the rare honour of leading worship, preaching and performing items. In other churches, mothers were rested while fathers and the children preached and performed skits to entertain mothers. The church services were followed by village feasts and special day mother’s day lunch. And after all that food and enjoyment, a national holiday yesterday provided the perfect chance to recover not just for mothers, but also everyone who had a blast. 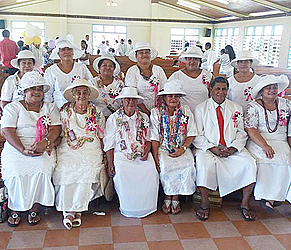 Here are some photos from Mother’s Day celebrations at the E.F.K.S Church at Letogo and Methodist Church, Asau Savai’i.